Hello, angels! How are your New Year's resolutions going? While we get excited at the beginning of January, regular life kicks in after the holidays and we all too easily start to slide back into our unhealthy habits. If this is you, don't give up! It's not too late to get back on track with your health and fitness goals. One of the best ways to get a clean start is to detox your system. While it might be a little rough for the first day or two as your body stops relying on caffeine, sugar and refined carbs, you'll be amazed at how energized you feel once you stop relying on these unhealthy stimulants. 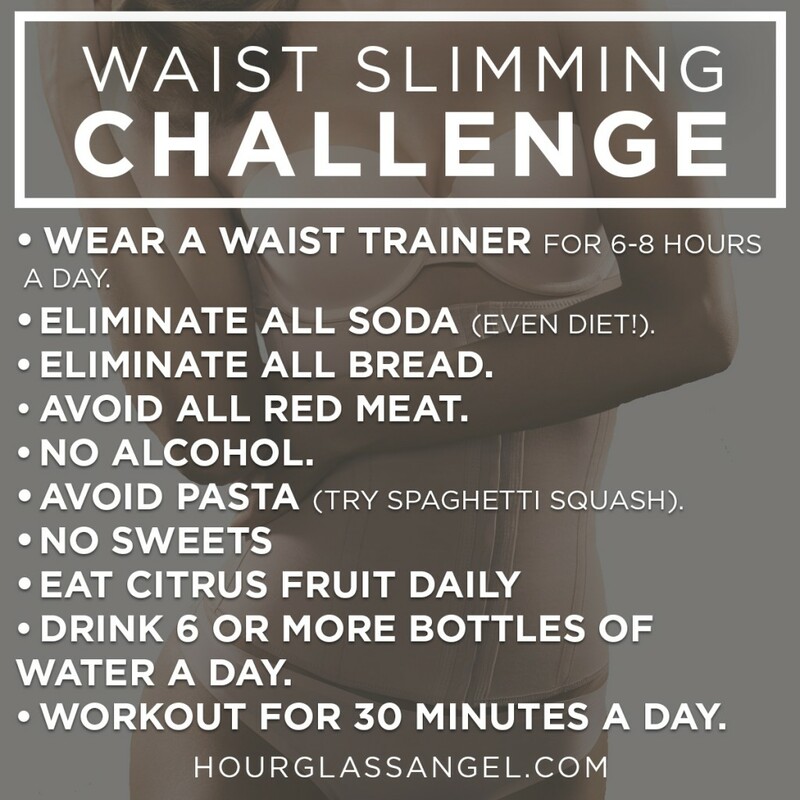 If you need a jumpstart to get back to your goals, try this 7-day waist slimming challenge! All you need is a waist trainer, healthy whole foods and some space to work out in (if you need some inspiration for how to work out, check out our tips from Mizzfit!). Wear a waist trainer for 6-8 hours a day. If it's too difficult to do it all at once, break it up into small increments. Eliminate all soda (even diet!). Eliminate all bread (eat sandwiches made with lettuce leaves instead). Avoid all red meat (get your protein from lean chicken, fish, beans, lentils, etc). Avoid pasta (try spaghetti squash instead). No sweets—check for added sugars in the foods you're eating. You'll do best to avoid items like breakfast cereal and sweetened yogurt. Eat citrus fruit daily for a vitamin boost. Drink 6 or more bottles of water a day. Workout for 30 minutes a day (check out this post for ideas).